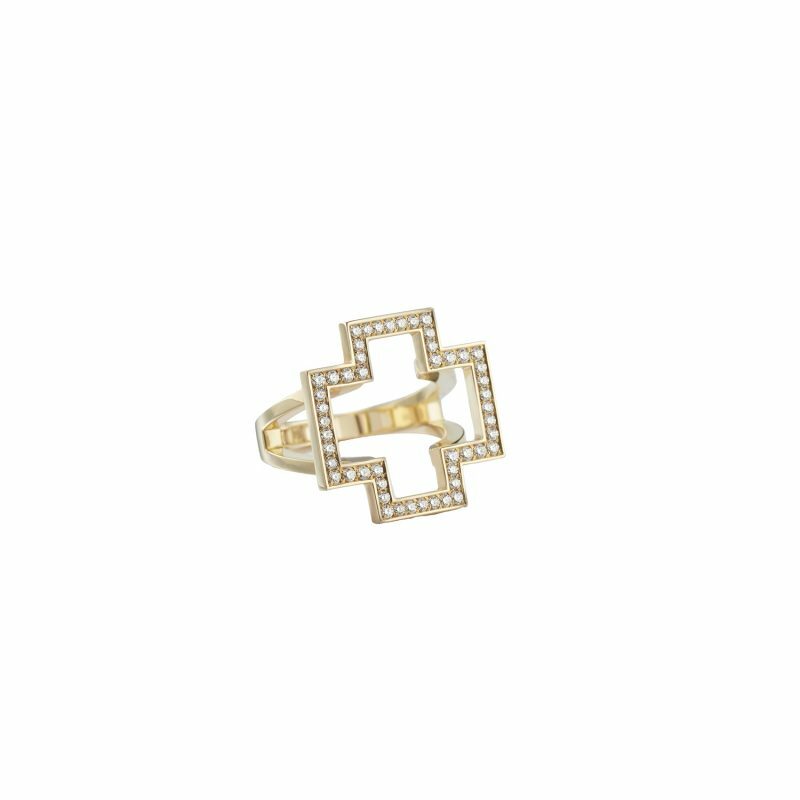 The Cross Ring is available in 18ct Yellow Gold with White Diamonds. The Cross design draws on thousands of years of history of cosmological and spiritual symbolism. Also available in Rose Gold and White Gold with Diamonds. Part of The Cross Collection by New York based Fine Jewellery brand Sandrine de Laage.